The Preschool area caters for children from approx 3½ to 5 years old. We understand that preschoolers are learning to make sense of the world, they’re developing literacy, numeracy and social skills and they are especially discovering who they are; therefore we provide a more complex learning environment for both individual and group experiences. Further, our 4½ year olds are involved in a transition to school program. We have access to a wide, natural section next door which has extended our children’s outdoor experience. 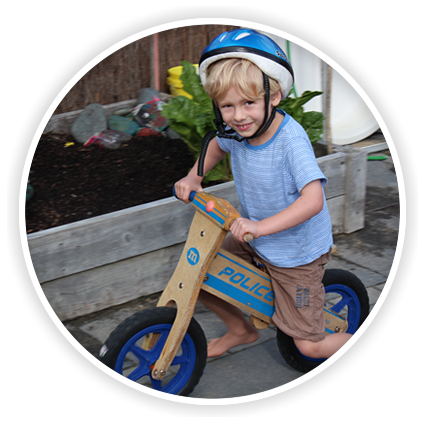 This space allows children to run freely and explore the natural environment. Our outdoor environment is aesthetic to the eye, it includes natural resources to create curiosity and is open ended for exploration. We have a rock climbing wall and balancing equipment to challenge the children to explore using their bodies. Our vision is for children to have a strong sense of belief in themselves and to be supported in their aspirations and dreams as individuals. we place high value on children having the freedom to explore, allowing them the time they need to express themselves, to laugh, to have fun and for all children to be inquisitive, competent and open-minded in their learning journey. We value parental input and contribution. Relationships are a prominent part of our room. We display open, honest, professional and friendly communication with our children, their families and each other. We encourage all children to develop into independent, confident learners, while being supported and extended from a team of dedicated educators who are committed to high quality care and education. Apples believe in “empowering children for lifelong learning, successful school life and beyond”. In the preschool room our teachers aim to foster and encourage skills in which are the basis of children’s lifelong learning. 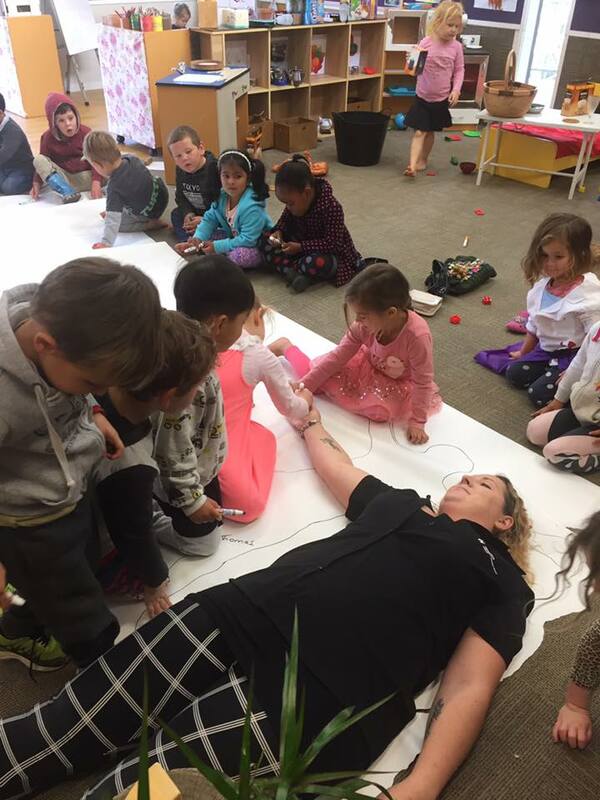 Our teachers are committed to supporting children and their families and whānau in developing essential foundational knowledge and skills which will support them to manage themselves successfully through life changes; such as going to school. During the day to day program in the preschool room we integrate foundational skills for school, within all areas of learning and interest. During activities and experiences we support and encourage children to ask questions, develop theories, skills and knowledge which will support them later in the school environment. As early childhood teachers, we are constantly preparing your children for their future within the school system and beyond. We recognise children as competent and capable individual learners and plan our daily activities and experiences to accommodate for all interests and developmental stages. We also have general focuses in the room, where a group of children display a shared interest. We encourage the children to share with others their interest and use a variety of different resources in extending their knowledge and skills within the interest. Skills such as; colours, literacy, numeracy, mathematics, science, relationships and imaginative expression. As well as these educational skills, we focus on promoting and empowering children in self help skills, encouraging them to become confident and capable individuals. As a part of our transition to school program, we hold a graduation ceremony for each child on their last day before school. Families and whānau of the child are in-vited to join us as we reflect on the child’s time at apples, presenting the child with their portfolio, and a certificate of graduation. We value this ceremony as we feel it is important to recognise the child as being ready to transition into the school envi-ronment, we also feel it is important for the child to share with the other children stories, milestones, discoveries, artwork and photos of their time at apples. Our preschool mat times have a variety of fun activities and structure which support our transition to school program. We encourage mat time manners, like sitting on the mat for periods of time, keeping hands and bodies to ourselves and focusing on listing to who is speaking. We include lots of different types of styles of storytelling, songs, and finger rhymes relevant to the children’s interests. Within our daily mat time routines we discuss the date, weather, and work with letters and numbers to support early literacy and numeracy development. As a part of our preschool curriculum we invite the children to take turns in taking home the interest bag. We encourage the children find something from home that is special, new, meaningful or of interest to bring in and share with the rest of the children during a mat time. The teachers encourage the children to use their words and build confidence in sharing and talking about what they have brought in. At the end the teachers invite the rest of the children to think about what they have been shown and ask questions. The interest bag is an important aspect of the preschool room as it allows children opportunities to build and develop their confidence in public speaking, telling stories, sharing their interest and the two way conversations that evolve around asking question and answering them. We acknowledge that this is a process and provide the children with numerous opportunities to develop these skills. The preschool teachers are very supportive of the children during this time and empower each child during their turn. Once a week our preschool children enjoy ‘lunchbox day’. This is where the children are invited to make their own sandwiches or wraps, choosing their own ingredients like salad, ham, cheese, marmite and snack items like crackers, raisins and fruit. The children are then encouraged to find their own lunchboxes and teachers empower the children to pack their own lunchboxes, and store them in their lockers. At morning tea and lunch time, the children bring their lunchboxes to the table and learn to open and manage packed foods and to keep some food from morning tea to have at lunch. This experience encourages self help skills and taking responsibility over personal belongings. These are all vital skills required as they transition into the school environment. Your Child’s portfolio is always available in their classroom so that you can access it at any time, and if you have any questions please just ask. The portfolios are a collection of stories, pictures, artwork and memories of your child’s time here at Apples. Each portfolio contains information about how your child is growing and developing during their time at Apples. We encourage you to take your child’s portfolio home, it is always available for you to share with you and your family, and we encourage you to contribute with stories, photos and pictures too. This gives us an insight of what your child enjoys at home and enables us to build on their experiences which they have outside the centre environment. 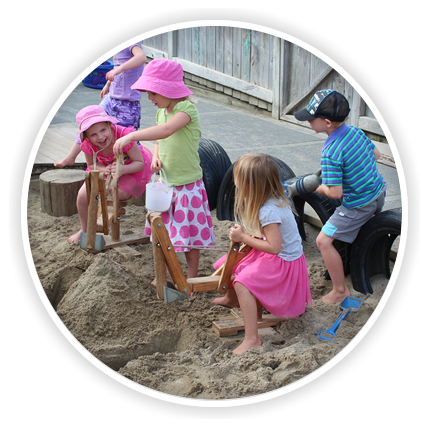 The learning stories included in your child’s portfolio will also include learning and development that links in with the strands and goals from Te Whaariki (The New Zealand Early Childhood Curriculum). The teachers will be utilising a variety of methods and tools in which to document your child’s learning. These tools include observations and anecdotal information, samples of their work and different photos to show you your child’s special times with us at Apples.